AC/DC Principles teaches how to apply basic laws and analysis techniques to introductory circuits as well as actual AC and DC circuit applications. Ohm's law Kirchoff's law, Thevenin's theorem, and Norton's theorem are also applied to basic circuits. Mathematics is applied at algebraic and trigonometric levels and all mathematical formulas are followed by step-by-step example problems. Applied Grounding & Bonding is uniquely designed to follow the installation of a grounding and bonding system the way a contractor and electrical worker install it. Building Automation Control Devices and Applications covers the operation, signals, and functions of the sensors, actuators, and other control equipment used in automated systems in commercial buildings. It is a solid foundation for a comprehensive training program in building automation. Building Automation: System Integration with Open Protocols introduces concepts of automated electronic controls and network communication and then details the two primary protocols for wired networks: LonWorks® and BACnet®. Each system is thoroughly described with information about installation, configuration, operation, maintenance, and troubleshooting. The capstone of this textbook is a series of examples that illustrate the design, installation, and configuration of each protocol in various scenarios. Completely updated to reflect the 2017 National Electrical Code?, the Fifth Edition of this user-friendly, practical guide features thorough, current coverage of grounding and bonding requirements in both Article 250 and Chapter 5 of the NEC?. - a user-friendly, practical guide provides a thorough and effective introduction to the essentials of electrical grounding and bonding. Written in accordance with the 2014 National Electrical Code®, ELECTRICAL GROUNDING AND BONDING, Fourth Edition, features complete, up-to-date coverage of Article 250 requirements. The text's detailed explanations, real-world examples, and vibrant, full-color illustrations will help you master and apply key electrical concepts such as calculating conductor sizes, reading and interpreting NEC® tables, using grounded conductor connections in DC and AC systems, and applying "green" practices for energy efficiency and environmental sustainability. Electrical Motor Controls for Integrated Systems covers the control devices used in modern industrial electrical systems. Extensively updated, this industry-leading text includes the latest motor control and integrated systems technology for instruction of advanced manufacturing skills. The latest test tools, safety practices, and technology have been added to complement the advancing technology of motor starters, motor drives, PLCs, and control devices. The Electrical Motor Controls Resource Guide is a valuable instructional tool designed for training in group settings. Electrical Motor Controls for Integrated Systems Workbook provides Worksheets for each major concept presented in the Electrical Motor Controls for Integrated Systems text. Mike Holt's Electrical Exam Preparation textbook has helped thousands of people across the country pass their exam - The First Time! The full-color illustrations help guide you through everything you need to know about calculations and help you review the theory that you will have on your exam. The book is designed for individual or classroom use and helps you learn the material and test your knowledge in each area. An introduction to electrical and electronic principles and practices and their uses in residential, commercial, and industrial applications. 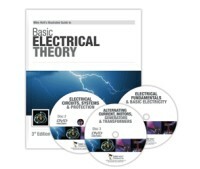 This new edition has been reorganized to provide coverage of key electrical concepts at the beginning of the text. Other chapters have been expanded to include greater coverage on personal protective equipment, NFPA 70E, basic first aid, test instruments, printreading, and programmable logic relays. Electrical Safety of Low-Voltage Systems offers you a comprehensive safety regimen, based on the fundamental characteristics of low-voltage electrical systems. Electrical Systems for Facilities Maintenance Personnel provides a detailed overview of facility electrical equipment and systems as well as the testing, maintenance, and troubleshooting skills that facilities maintenance personnel need on a commercial job site. Electrical Systems for Facilities Maintenance Personnel is a comprehensive preparation resource for those responsible for maintaining commercial building electrical systems and equipment. Distribution System, Lighting System, HVAC System, and Motor Control circuit principles, testing, and troubleshooting concepts are presented through a hands-on approach. With the majority of HVACR service calls being electrical in nature, it is important for technicians to have a solid understanding of electrical fundamentals allowing them to develop a systematic and methodical procedure for troubleshooting. The Electrical Theory and Application for HVACR manual provides students and practicing technicians with the information and knowledge necessary to accurately diagnose and solve electrical system faults. This manual is full of color illustrations and includes student worksheets. The spiral binding will allow students to tear out worksheets for grading by an instructor if used in a Training environment. Electric Motor Drive Installation and Troubleshooting is designed for technicians in the field responsible for installing, programming, troubleshooting, and retrofitting electric motor drives. This industry-leading resource begins with electric motor principles, power requirements, and control methods and focuses on the safe operation, installation, startup, and troubleshooting of electric motor drives. This new edition provides comprehensive coverage of electric motor drive retrofit procedures and includes proven, real-world application scenarios. Learn electronics without getting your wires crossed! Electronics Demystified, Second Edition teaches you fundamental concepts and applications step by step. This practical guide begins by covering voltage, current, resistance, impedance, admittance, and power supplies. The book goes on to discuss semiconductor diodes, transistors, integrated circuits, and signal amplifiers and oscillators. Now owners, engineers, and electricians can quickly come up to speed on the five most prominent distributed generation technologies with Essentials of Distributed Generation Systems. Whether you're looking for an introduction to the topic or an overview of the selection, design, and installation of these systems, this practical guide is your source for complete and up-to-date information on the most common alternative energy technologies. Lack of skills in fundamental math and basic applications has hindered many careers in the electrical industry. Too often electricians and inspectors are expected to acquire the information they need on their own while working the job. Understandably, this often leaves some behind, especially when they do not have a text to direct their focus. Ferm's Formulas, Charts, & Information direct one's focus to the most commonly used formulas in his field. These formulas are carefully explained and demonstrated throughout the book. "Mike Holt's Illustrated Guide to "NEC Requirements for Grounding vs. Bonding" belongs in the hands of every Electrician, Inspector, and Engineer"
The extensive graphics show current flow in both normal and fault conditions, which completely illustrate the proper application of the Code rules. Hybrid Electric Vehicle Technology provides foundational information about vehicles that use more than one propulsion technology to power a drive system. This new textbook is filled with technical illustrations and concise descriptions of the different configurations and vehicle platforms, the operation of various systems and the technologies involved, and the maintenance of hybrid electric vehicles. Required safety precautions used when working around high-voltage systems, especially in emergencies are highlighted. Instrumentation and Process Control is a comprehensive resource that provides a technician-level approach to instrumentation used in process control. With an emphasis on common industrial applications, this textbook covers the four fundamental instrumentation measurements of temperature, pressure, level, and flow, in addition to position, humidity, moisture, and typical liquid and gas measuring instruments. Journeyman Electrician?s Exam Workbook is designed to help applicants prepare for the journeyman electrician?s examination. This extremely practical workbook offers an overview of the exam and practical examples involving formulas, NEC-related problems, and definitions. The Journeyman Electrician's Exam Preparation DVD is designed for self-study or instructional use. Master Electrician's Exam Workbook Based on the 2017 NEC? is designed for electricians preparing to pass local electrical licensing exams. Step-by-step examples are used to simplify complex calculations. The four 100-question exams in the back of the book help the learner practice answering exam questions and become efficient at looking up Code information. 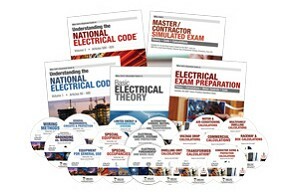 The Master Electrician's Exam Preparation DVD is designed for self-study or instructional use. Master Electrician's Exam Workbook is designed for electricians preparing to pass the Master Electrician's Exam. This comprehensive workbook covers information ranging from basic electrical theory to complex load calculations. It is a useful training tool for both the electrician-in-training and the experienced journeyman. Key topics include transformers, overcurrent protection, conductor and box sizing, voltage drop calculations, and grounding. Motors provides a comprehensive overview of electrical theory and fundamental motor operating principles as they relate to installation and troubleshooting procedures. This full-color textbook is designed to develop basic competencies related to fundamental concepts and advanced topics. It can be used in a classroom learning situation, as a self-study text, or as a desktop reference book on motor operation. The text offers real-world applications that an electrician is likely to face in the field and combines that usage with the theoretical content in the textbook. The text also presents correct safety procedures in compliance with NFPA 70E. The Motors Resource Guide is a valuable instructional tool. It is designed to give instructors everything they need to teach a course in Motors. The Resource Guide includes course objectives, course development information, methods of instruction, instructional outlines, resources, and answers to questions in the text. A CD-ROM is included, featuring electronic slides of all the illustrations in the text and links to useful resources on the Internet. The text offers real-world applications that an electrician is likely to face in the field and combines that usage with the theoretical content in the textbook. The text also presents correct safety procedures in compliance with NFPA 70E. Includes a CD-ROM with Quick Quizzes™, an Illustrated Glossary, Media Clips, and Reference Material. This is a comprehensive introduction to PLC theory, operation, installation, programming, maintenance, and troubleshooting. The text is a useful training tool and reference for students, apprentices, and technicians in the trade. This is a companion book to the corresponding textbook, containing 48 hands-on activities based on residential, commercial, and industrial real-world applications. This award-winning textbook covers everything from PLC basics to advanced applications. Full of checklists, charts, and tables, it makes a perfect quick-reference as well as an in-depth study tool. Whether you're already an expert on PLCs or you're just starting out, the problem-solving approach used here is guaranteed to help you succeed. This informative text provides a comprehensive theoretical, yet practical, look at all aspects of PLCs and their associated devices and systems. Not only does Soares Grounding & Bonding 2017 explain how and why certain grounding methods are used, but it does so in a logical way, balancing text with photos and illustrations. Cutting through the confusion of industry jargon and common misconceptions, and using correct defined terminology, the authors guide the reader step-by-step through the language and intent of the National Electrical Code, NEC-2017. Practical and up-to-date, TECHNICIAN'S GUIDE TO PROGRAMMABLE CONTROLLERS, 6th Edition provides you with the most comprehensive introduction to PLCs available on the market today. Each topic is discussed in a way that is easy to understand and apply, ensuring that you are prepared for class as well as for your future career. Theory, hardware, instructions, programming, installation, startup, and troubleshooting are discussed in detail. This heavily-illustrated text is designed to give the apprentice and journeyman a strong background for understanding transformers. Information is presented in an open, contemporary format. The text presents basic information about transformers and how they are built and classified. Transformers covers operation, cooling methods, tap changers, transformer connections, autotransformers, and reactors. Today's electrical students and electrical technicians alike are looking for a resource that moves beyond traditional offerings to get more than just transformer theory, but also the practical information that can be put to use in everyday situations when in the field. TRANSFORMERS FOR THE ELECTRICIAN is the perfect solution! This New Text provides a comprehensive overview of transformer operation, maintenance, installation, and troubleshooting. This full-color textbook is designed to develop basic competencies of electrical apprentices and beginning learners. It begins with a thorough discussion of magnets, magnetism, electromagnetism, and how these apply to transformer operation. The Transformer Principles and Applications Instructor's Resource Guide is a valuable instructional tool. It is designed to give instructors everything they need to teach a course in transformers. One of the most confusing areas of the trade continues to be Grounding and Bonding. Mike Holt's Illustrated Guide to "NEC Requirements for Bonding and Grounding" belongs in the hands of every Electrician, Inspector, and Engineer who needs to understand the, seemingly conflicting, information of how to properly apply the NEC rules of Grounding and Bonding. If you’ve ever looked for a book that explained wiring to the NEC in a way that makes it easy – this is your book. Here, a master electrician gives you step-by-step tips and shortcuts he’s learned in over 30 years of wiring houses. You’ll learn the basics of electricity, what materials work best in what application, which tools get the job done in the fastest time, and how to figure out and design the right wiring layout for any residential job, whether the entire house, or just a room.